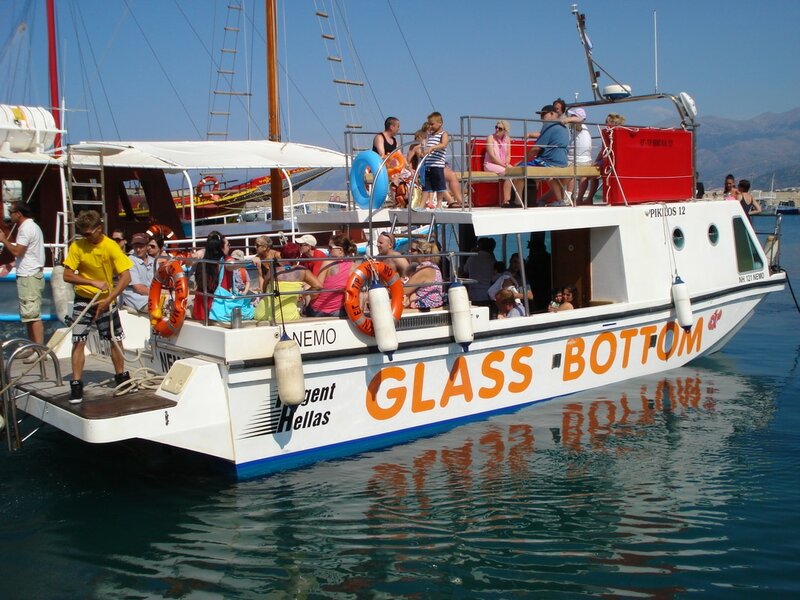 Nemo is a new glass bottom boat made entirely by GRP. It was launched under the strictest specifications for safety and comfort and its aim is to combine the enjoyment of the sea that a cruise can offer and, at the same time the magnificent experience of the underwater world exploration. It is fully equipped electronically by Furuno.